The RSEC Academy High School is a Google for Education partner, which means students have access to engaging learning tools anytime, anywhere, on any device. Students are provided Chromebooks to use while in class. We also have a fully-functional science lab, a rare asset for a school of our size, and offer advanced placement (AP) classes. Every academic journey is different, so the education professionals at The RSEC Academy High School personalize lessons and strategies based on the individual student. Pulling from more than 40 years of experience, the approaches teachers use in the classroom include multiple different techniques for the best possible outcomes. The RSEC Academy High School is a Google for Education school. All students receive Chromebooks for use while at school, and have access to class materials and other cloud-based resources online. Direct systematic, small group instruction: LiPS; Report and Story Form; Orton-Gillingham Reading Program; Step Up to Writing; Framing Your Thoughts; Visualize and Verbalize; Master Notebook System; test preparation; individual student accommodations. Experiential and adventure education: All students attend and participate in unique learning experiences throughout the school year, with the goal of showing progress in positivity, stretching comfort zones, communication and self-advocacy, and personal goals. Adventure Days: a variety of outings, including orientation activities, a three-day overnight fall retreat, community service days, sports and social events. 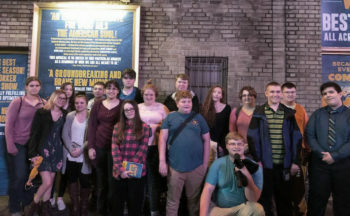 We incorporate many of our experiential and adventure outings into our academic curriculum, and reinforce the life skills and concepts that students experience in the real world. In addition to the options below, we encourage students to create their own groups to explore their interests. For a full list of upcoming events, check out The RSEC Academy High School calendar. Keep learning throughout the summer and apply academic and social skills to learning experiences outside the classroom with these summer courses for students ages nine to 21. Content Area Skill Building: direct systematic instruction in language arts, math and reading based on individual learning goals. Reading Tutorial: direct instruction in comprehension, fluency, and phonemic awareness. Writing Tutorial: direct instruction in effective written expression. Math Tutorial: direct instruction ranging from basic math skills and algebra to geometry and vocational math. Social Pragmatic Skills: taught through games, challenges, and cooperative initiatives in and out of the academic setting. Individualized Program: we will create individually tailored programs in many subjects for students who need credit recovery, further refinement or seeking enrichment. Classroom Without Walls: interactive hands-on instruction for students to practice problem solving, interpreting information, comprehension, verbal communications, and cooperative learning. Recent activities have included day trips to museums or sports games, hiking, environmental farm projects, ropes courses, guest speakers, video production, theatre productions, and community service. Career Exploration: explore various careers and post-high school plans using Career Cruising software to identify possible career interests. Talk with business leaders and owners, as well as tour businesses of interest and exposure to resume writing, letter writing, application completion, dressing appropriately for business and much more.